In term 2, 2018 St Joseph's applied to take part in a Partnership with the Nerve Centre, Belfast. Thanks to our amazing PTA we have a set of ipads in each classroom and staff wanted to explore the creative use of digital technologies in their classrooms. We were really delighted to be successful in our application as a large number of schools applied. 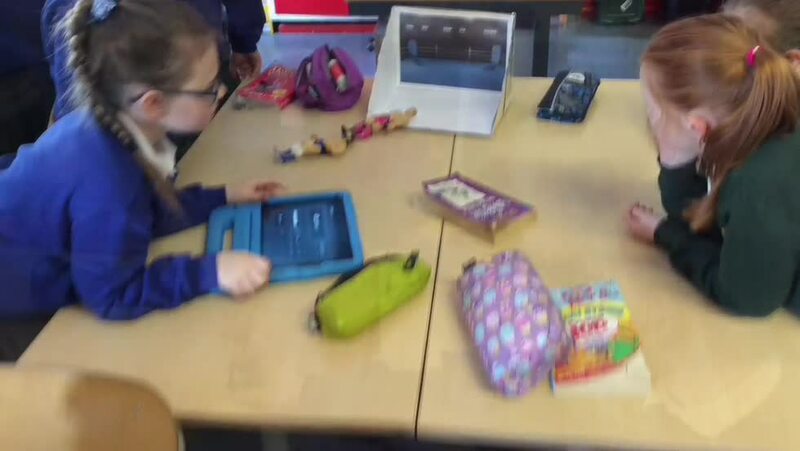 The ICT areas we will develop this year are animation and coding. Staff will receive training in these areas from the Nerve Centre. This will help us to develop and embed new skills and ICT experience that will have a great impact on teaching and learning and as a result will have significant impact on the children in terms of their learning experiences, engagement in lessons and overall ICT confidence and competence. We have also been lucky enough to secure additional workshops for the children in coding and animation. We are really looking forward to an exciting year!! In November all our classes took part in Animation lessons with Jennifer , an animation expert, from the NERVE Centre , Belfast. In collaboration with Jennifer, each teacher worked with their classes to produce short films based on topics they were doing in class. Year 1/2 theme was " The 3 Pigs " , Mrs Mc Mullan's Class worked on " The Owl Who was Afraid of the Dark" story , Year 4/5 were making films about Farm Safety and Year 6/7 class were creating movies about Road Safety. Working in pairs and small groups, the children collaborated with Jennifer to create their pieces which they showcased to their peers. Check out the samples we have uploaded for you to see!! Here is our latest animation. Primary 4 boys and girls loved their day in Newcastle.